« China Earthquake Caused By HAARP Weapon? 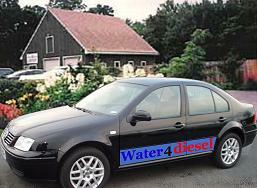 So, I’ve been hearing a lot about using water to produce brown gas and feeding the brown gas into your car’s intake. 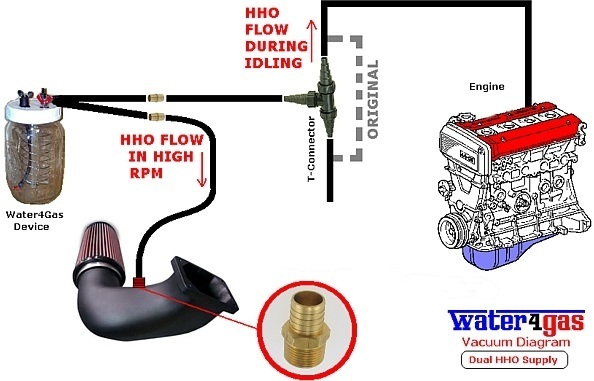 This process supposedly will help the engine burn gasoline more efficiently which will result in greater fuel mileage, some on the internet say up to or more than 30 %. 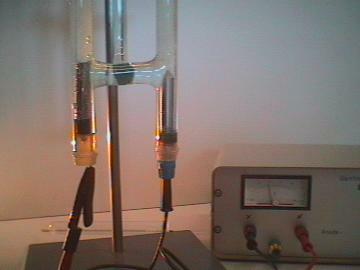 The technology behind the production of HHO gas or brown gas is electrolysis of water. If you have ever taken chemistry class in high school, then you probably know what electrolysis of water is. Water is H2O (2 hydrogen, 1 oxygen), so basically, electrolysis is a method of seperating the two hydrogen molecules from the one oxygen molecule using electricity or passing a current through the water. Back in high school, I’ve actually used a device my chemistry teacher made to seperate water into hydrogen from oxygen components. Then my chemistry teacher made us put a lit match and the end of one of the hydrogen collection test tubes. You know what happens right? The hydrogen will pop once ignited (small explosion). It was actually quite a fun, experiment and some students actually blew up their test tubes. I have no idea what happens when you feed the resulting hydrogen gas and oxygen gas mixture (brown gas) into your engine though. Many of these internet information pages will tell you that this mixture called “Brown’s Gas” will help burn gasoline better, and cleaner which helps in a little more power and better fuel mileage. They also mention that the home made device which cost less than $100.00 is safe to use. I’m not sure if the claims going around on the internet and Youtube are true, but I am also not going to say they are scams. The only way to find out is to dig a little further and find more tangible information and in the end try it for myself to see if this HHO (Brown gas) made by the electrolysis of water injected into a car engine really does help gasoline burn cleaner and give my car better fuel mileage. Stay tuned, as I will be sharing what I find on this blog. This entry was posted on Sunday, June 29th, 2008 at 12:25 pm	and is filed under Announcements. You can follow any responses to this entry through the RSS 2.0 feed. Both comments and pings are currently closed.